We, at Linderhof, wish you and yours a very Happy New Year! 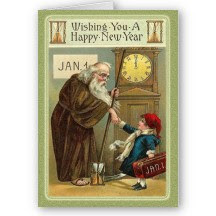 I've enjoyed your blog throughout 2012 and look forward to reading it in 2013. God's blessings to you and yours in the New Year! Wishing you all the best for 2013 Martha and here's to more tea parties in the new year. May 2013 bring all the best to Linderhof and its creative Chatelaine! Happy, healthy & prosperous New Year to you, Husband Jim & Dolly @ Linderhof, dear friend!!! Looking forward to following you in 2013!!! ...and I agree, we need to see one another again this year! A Happy and Healthy New Year to you and your family and the doggies. Thank you for all the tea and recipes throughout 2012 and other years.